Come join Fun & Sun Diving Malapascua, Cebu and meet Malapascua Thresher sharks! 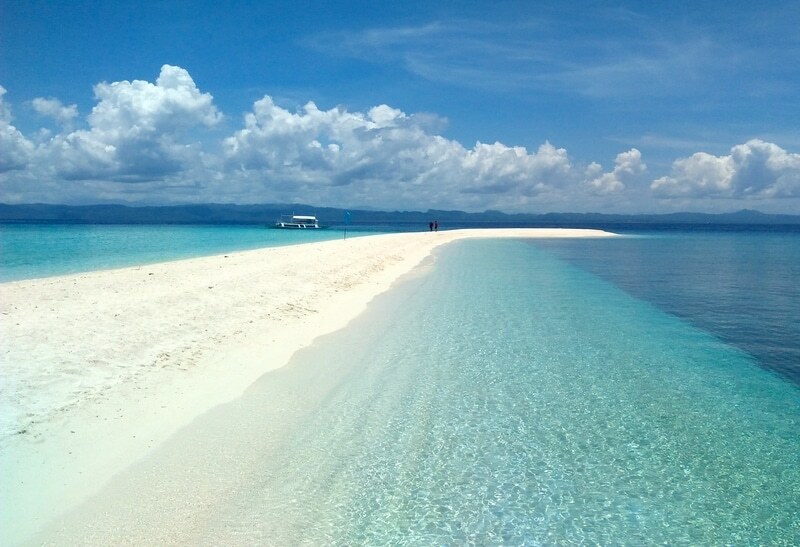 Malapascua Island is located off the northern tip of the island of Cebu, in the Visayas. 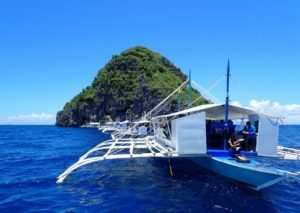 From Cebu City, it will take you approximately 3 hours to reach the port of Maya from where you will take a 30 minute banca boat ride to reach the quaint and enchanting Malapascua. The island is barely 2 sq. kms with its main white sand beach, Bounty Beach, facing South, where Fun & Sun Dive Center is strategically located. There are several resorts and restaurants around. Our team will be pleased to help you enjoy your Malapascua Experience. After an exciting dive, you can enjoy the sunset before a well deserved dinner. There are several great restaurants to choose from within walking distance. Sometimes, the Fun & Sun team throw a BBQ party and our divers are always welcome to join! 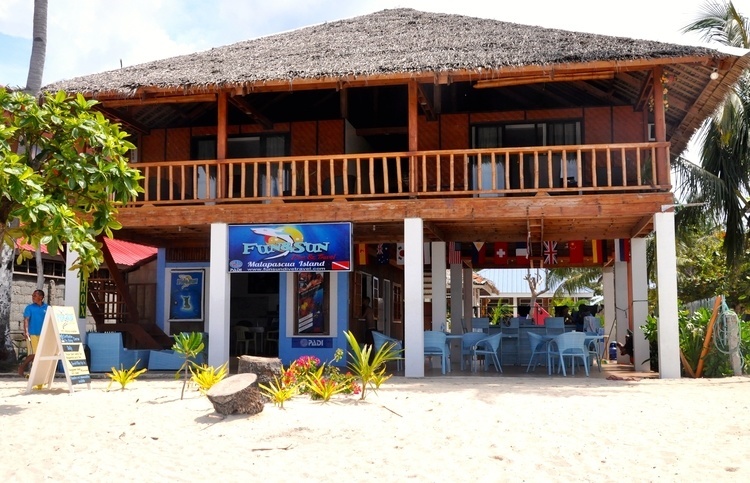 Our Fun & Sun dive center also has four rooms above the shop to accommodate our divers. The island has other beaches and white sand coves around the island and some snorkeling for tourists who don’t dive. 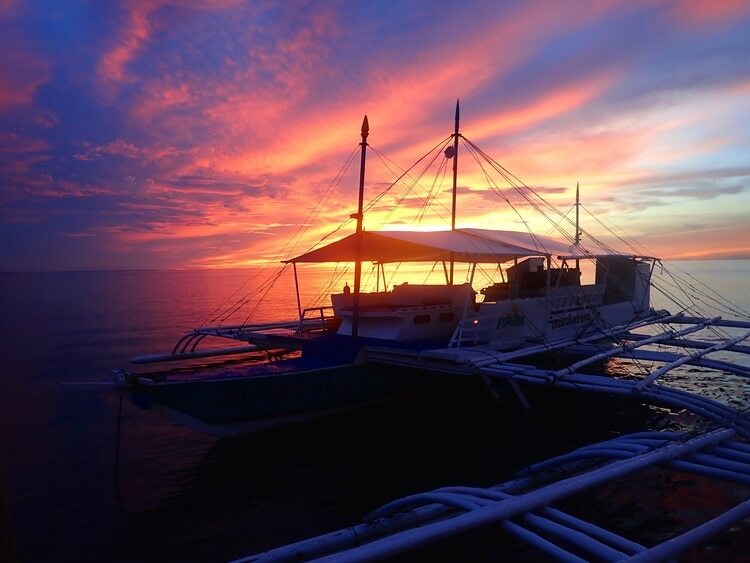 Malapascua also has the most fascinating sunsets there is, so, after a day of diving, visitors can kick back and enjoy the nice colors of the sky. This is the site that has put Malapascua Island on the Diving World Map. 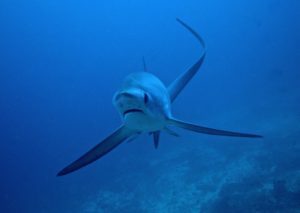 Early morning divers will have the chance to experience magnificent encounters with Thresher Sharks, that visit several “cleaning stations.” Devil Rays as well as Manta rays are frequent visitors of this sunken island dive site, especially early in the afternoon. A little further, Kimud Shoal is where Hammerhead Sharks can be spotted. A small rock island located 1hr 30mins off Malapascua. Initially known as a Sea Snake Sanctuary, there are large White Tip Sharks resting under boulders or swimming around at the entrance of caves, which divers can use to cross underneath the island. The Blue Ring Octopus, the Pygmy Seahorse and the Harlequin Shrimp are some of the favorite sightings here. Bamboo Sharks are occasionally spotted too. This site is covered with a wide variety of hard and soft coral as well. A few meters away from the island lighthouse, this very shallow dive comes alive and is teeming with marine life at sunset. 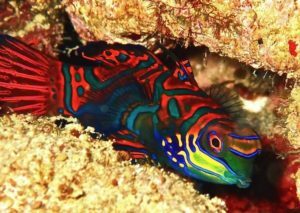 A few meters from an old wreck lying in the sand, you can find hard coral formations where Mandarin Fish reside. Spend time to see these colorful fish mating before looking for Seahorses, Octopus and Squid as the night takes over. 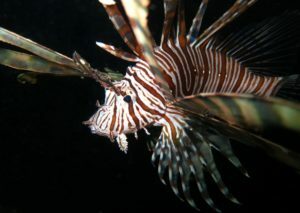 Located at the north point of the island, 10 minutes away from the dive center, four different kinds of lionfish could be spotted here, as well as the colorful Angelfish, different kind of Frogfish and Anglerfish. Often, Jacks and Barracudas hunt around this area. This is also a nice place to see Nudibranchs and watch out for the beautiful flamboyant cuttlefish. This is one of the largest wrecks found in the Visayas. It lies in open water at a depth ranging from 17-35 meters. This is a spectacular dive. Snappers, batfish, puffer fish, moray eels are making this wreck their home. Large Stingrays are often seen in the sandy bottom. Another fantastic day trip would be to Kalanggaman Island, approximately an hour boat ride away south of Malapascua. This spectacular and isolated island has a breathtaking sand bar that stretches as far as the eyes can see. It is truly a paradise for both divers and non-divers. Turtles and eagle Rays are occasionally spotted here as well as other tropical fish that are frequently seen in wall dives.